Police are out on reassurance patrols near Sussex mosques today following the tragic attacks in New Zealand. A man in his 20s has been charged with murder after 49 people were killed and at least 20 wounded in a shooting at two mosques. The country's Prime Minister Jacinda Ardern has described the incident as a terrorist attack. 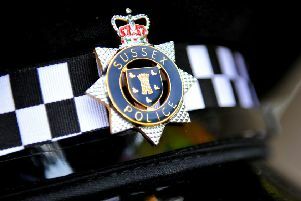 Following the tragedy, police in Sussex have moved to reassure residents in their communities. Chief Superintendent Neil Honnor, head of the Surrey and Sussex Police Joint Operations Command, said: “Today we are stepping up reassurance patrols around mosques and increasing engagement with communities of all faiths, giving advice on how people and places can protect themselves. “Places of worship can also use our online training package ‘ACT Awareness eLearning’ for advice on Protective Security and how to react should the worst happen. It can be found here . "We also encourage everyone to be aware of the Run, Hide,Tell advice there."